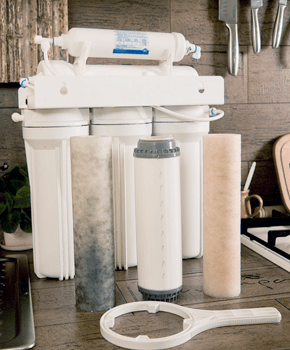 Reverse osmosis is a process that runs your water through a number of filters, removing up to 90% of the contaminants and impurities (arsenic and nitrate) that would have otherwise made it into your drinking water. At Schaefer’s Soft Water, we carry systems that are approved for the state of Wisconsin and calibrated to deliver the freshest possible drinking water into your home. Now that you’ve chosen the right reverse osmosis system for your property, have you considered a water softener? We carry a number of affordably priced residential and commercial water softeners, so give us a call for more info. © 2018 Schaefers Soft Water. All Rights Reserved.